I was asked to elaborate on my last post to include which Oracle technologies address which part of the enterprise planning ecosystem, so here you are! 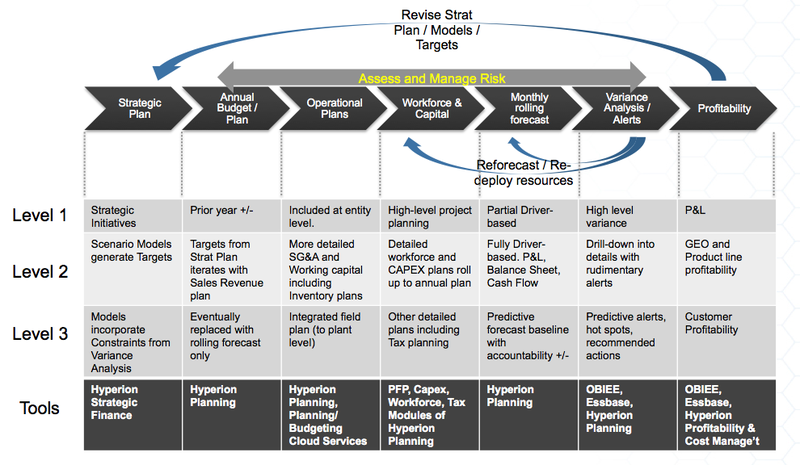 Please note, there are many ways to implement planning using Oracle tools, these are some of the most widely used. 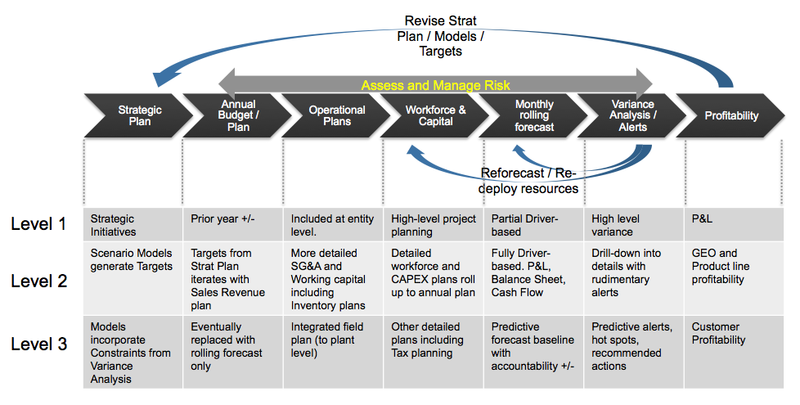 I was asked to show how all of the part of an organization’s budgeting, planning and forecasting come together and support each other, and how the organization can get more sophisticated at forecasting. 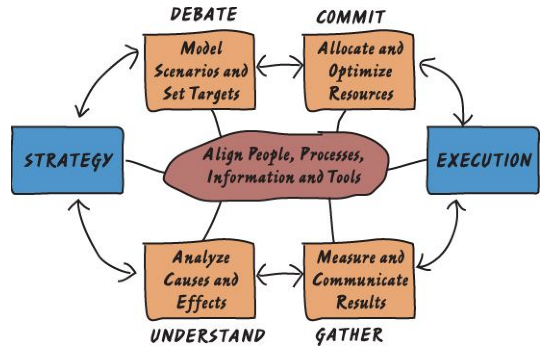 This diagram helped explain the overall flow as well as some of the elements you would want to put on a roadmap. 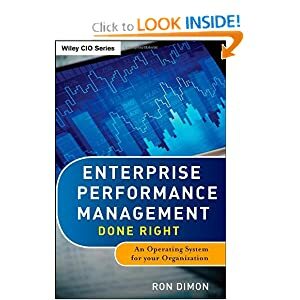 This should be a good starting place to have a debate about using the right planning and forecasting for better insight into the business, better resource deployment, and better profitability decision-making.